Mumbai, May 14 (IANS) Megastar Amitabh Bachchan says when Mahendra Singh Dhoni visited him on the set of 2003 film “Baghban”, the whole cast and crew, including him, was in awe of the former India skipper. Amitabh, who promoted his new film “Sarkar 3” on “IPL Extra Innings”, got nostalgic about the sport on his blog and recalled some of the memorable times when he met cricketers like Kapil Dev and Sunil Gavaskar. In the lengthy post, the “Piku” star shared an incident when Dhoni visited him on the “Baghban” set. “The memory goes on for years and years. Right down to present times and Sachin and M.S. 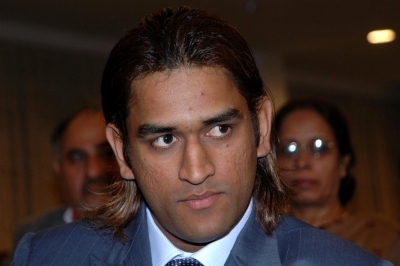 Dhoni and all the younger players that exhibit such tremendous energy and skills on the pitch. Dhoni walking on to the set of ‘Baghban’ while I was shooting and all of us in absolute awe of the man,” he wrote. 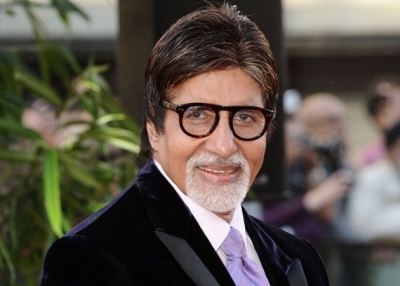 Big B also recounted how once while playing a friendly match with cricketers, he got slammed when he failed to recognise the late spin bowler Vinoo Mankad. “And I was looking at him with some dismay, as to why he was guiding me and me not liking being told like so. And on disclosing my displeasure to another team member, he telling me off with: ‘You absolute idiot. That umpire is the great Vinoo Mankad. And me not knowing where to hide my face from this spin bowling giant, Mr Mankad,” he added. The 74-year-old is often seen enjoying Indian Premier League games alongside his son Abhishek Bachchan.